I found this after school, the day the seniors left. Their lockers were open so my friend and i decided to look through all of them to see if we could find anything. I found this note in a big book. 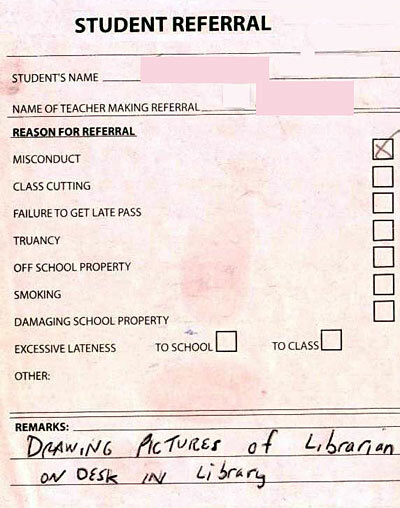 When I read it I could just imagine someone drawing pictures of the librarian on the desk and that just made me laugh.